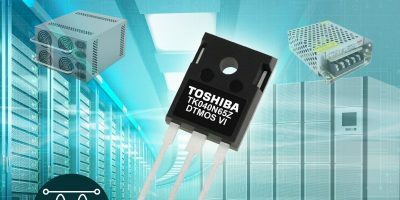 Next-generation power MOSFETs intended for use in server power supplies in data centres, solar (PV) power conditioners, uninterruptible power systems (UPS) and other industrial applications have been announced by Toshiba Electronics Europe. 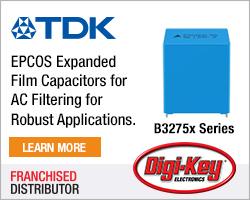 The first device in the DTMOS VI series is the TK040N65Z, a 650V device that supports continuous drain currents (ID) up to 57 and 228A when pulsed (IDP). It offers a low drain-source on-resistance RDS(ON) of 0.04 Ohm (0.033 Ohm typical) which reduces losses in power applications. The enhancement mode device is suitable for use in modern high-speed power supplies, due to the reduced capacitance in the design. Power supply efficiency is improved as a result of reductions in the performance index / figure-of-merit (FoM) – RDS(ON) x Qgd. The TK040N65Z shows a 40 per cent improvement in this metric over the previous DTMOS IV-H device, a gain in power supply efficiency of around 0.36 per cent – as measured in a 2.5kW PFC circuit. 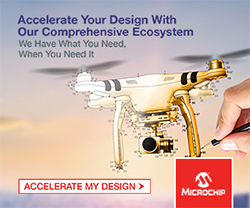 The MOSFET is housed in an industry-standard TO-247 package, ensuring compatibility with legacy designs as well as being suitable for new projects. The MOSFET is in mass production today and Toshiba says it will continue to expand the product line-up to meet market trends and help improve the efficiency of power supplies and systems. Toshiba Electronics Europe is the European electronic components business of Toshiba Electronic Devices and Storage Corporation. TEE offers European consumers and businesses a variety of hard disk drive (HDD) products, semiconductors for automotive, industrial, IoT, motion control, telecomms, networking, consumer and white goods applications. 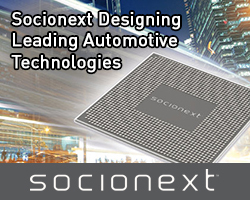 The portfolio includes integrated wireless ICs, power semiconductors, microcontrollers, optical semiconductors, ASICs, ASSPs and discrete devices ranging from diodes to logic ICs. TEE has headquarters in Düsseldorf, Germany, with branch offices in France, Italy, Spain, Sweden and the United Kingdom providing design, manufacturing, marketing and sales.